I’ve had a huge year, with plenty of highlights and certainly some low lights although the greatest was becoming a Dad. Since my last post, I’ve been to Kona again, Ironman Thailand 70.3 and finished the year with Ironman Western Australia. Here’s a wrap of the tail end of a very busy year. I did my preparation for Kona at home this year in Australia because I wanted to help out and hang with my new son. While this was a definite plus, it also meant my recovery wasn’t quite what I’m used to. The support I had at home from Bel and my family was amazing though, so I’m really pleased with my decision to prepare at home. The swim was the key for me, I really needed that, but I missed the front pack this year. That’s never happened for me in Kona and I was really disappointed with the way I swam. Unfortunately, it pretty much broke my race. From there, the bike was OK and the run was OK most of the way. Once I came out of the Energy Lab though, I kind of fell apart. 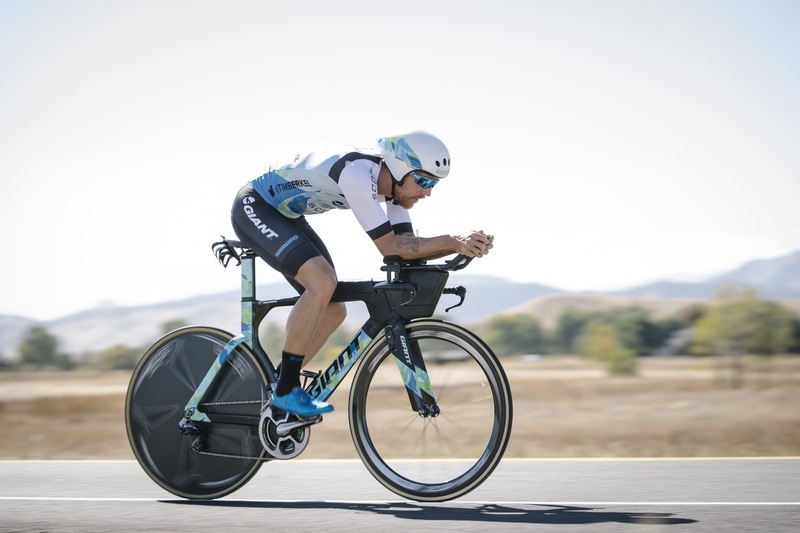 It was really, really hot this year at Kona, and even though I’d prepared in Australia I wasn’t quite ready for the temperatures. Next year I’m going to do a heat camp. Last year I used a sauna in the lead up to Kona and I didn’t feel the heat at all in the race. I worked on my swimming non-stop after Kona, and it worked for me in Thailand. I had a great swim and because I’d rested a bit after Kona I felt fresh and ready. I exited the water just one second behind the leaders and got stuck into the bike. As you may know, some of the bike course in Asia is pretty dodgy, and after a few stacks in the past on these courses I am often a bit cautious. This race was the same, and I wasn’t willing to take risks in case of injury. I lost contact with Markus Rolli who German flew by me on the bike. I rode as hard as I could safely ride, and worked well with Brazilian Fernando Toldi who ended up placing third. Luckily we had more cloud cover than last year, so it wasn’t too crazy hot, which enabled me to finish the run in 1:13 which I was happy with. In total, I finished Thailand 70.3 in second place in 3:52:49. After Kona and Thailand, I was so relaxed going into Busso. It was so nice to race with no expectations. I’d been working on my swim, so I was surprised when they cancelled the swim because of a shark sighting. But as I say, since I was relaxed, I was OK with it and got straight into the unique start. We all started on the beach, 20 seconds apart, and had to run into T1 to start the bike course. My goal was to catch Luke Bell and Callum Millward on the bike, and I hung out with them for a while during the race, until Kiwi Torrenzo Bozzone flew by. I decided to go with him, and we went through the first 90kms at 305 watts which I don’t even do in a 70.3! The pace was on. I got off the bike in 4th position, just 3 minutes down. In the run, I was doing really well up until the 14km mark when the wheels fell off. I knew I just had to back off. At 21kms this was getting really tough and I then lost the lead, and Dougal and Bozzone passed me. My goal was to finish on the podium, so I was happy to hold onto my third place finish, with a time of 07:27:08. Thank you so much for all your support this year, whether you’re a fan, stumbled upon this page, or you’re a keen young triathlete, I’m so grateful to have you as a reader of my blog. Have a very Merry Christmas, and Happy New Year!